In case you’ve neglected to read any headlines over the past 3 weeks, the 10-part Netflix docuseries, Making A Murderer, has taken the world by storm. 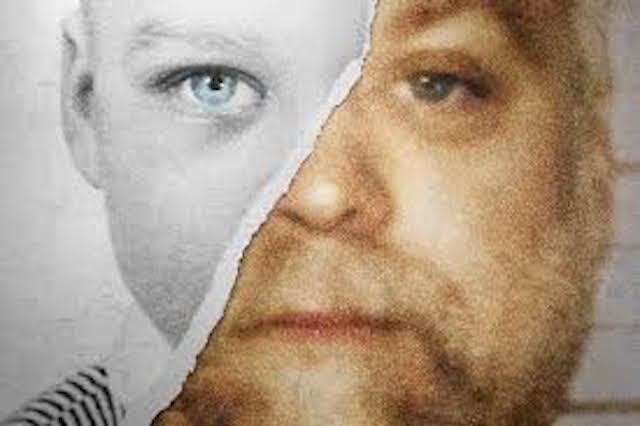 Since its December 18 release, the circumstances surrounding Steven Avery’s arrest, conviction, and sentencing for the murder of 25 year-old Teresa Halbach have been a hot topic among Internet sleuths. Many believe Avery is the victim of a glaring miscarriage of justice while others believe the doc omitted key evidence pointing to Steven’s guilt. Nevertheless, the docuseries has raised many unanswered questions about the investigation, including (but not limited to) the following: Where was Teresa Halbach murdered? If Steven Avery did murder her, why would he put her body in the back of her vehicle if he intended to burn her remains outside of his home? Why was the Manitowoc County Sheriff’s Department allowed to actively engage in this investigation after they publicly swore not to? Why didn’t her roommate report her missing? Why did Sgt. Colborn call in Teresa’s plates days before the car was found? Who deleted voice mails off of Teresa’s phone after her death and why? Who tampered with Steven Avery’s blood vial? Why did Teresa’s key (sans Teresa’s DNA) turn up 7 days into the search? Most importantly, if Steven Avery didn’t murder Teresa Halbach, who did? Naturally, fans have been spinning their own theories on Reddit to help make sense of these unanswered questions. Bear in mind, these are theories, so take them with a grain of salt. Long before Steven Avery publicly pointed to his brothers as possible suspects, Avery’s legal team questioned their innocence back in 2009. According to appeal documents provided by docuseriesfan on Reddit, both men have criminal records of violence and sexual assault. Charles, in particular, had a history of repeatedly harassing women who visited the auto salvage yard. Of course, these facts alone do not make Charles and Earl suspects; however, circumstances surrounding the investigation make them seem more suspicious. On November 9, 2005, when investigators came to take a DNA sample from Earl, he hid in an upstairs bedroom underneath a pile of clothing. According to the same court documents, cadaver dogs signaled to a golf cart on the property, which Earl may have been using earlier that day to shoot rabbits. In addition to being notably outspoken about Steven’s guilt, Bobby Dassey (Brendan’s brother) and Scott Tadych (Bobby & Brendan’s stepfather) had very convenient alibis. Both Dassey and Tadych claimed to have seen each other driving on the highway at the time of Teresa’s murder. Curiously, their timeline does not coincide with that of the bus driver, who claimed to see Teresa in the yard taking pictures at about 3:40 PM. If you remember back to Bobby’s testimony, he claimed to have seen her during the 2 o’clock hour (which would be concurrent with the two [hotly debated] phone calls Steven made to Teresa). During the investigation, authorities found multiple scratches on Bobby Dassey’s back, which he attributed to a puppy. Redditor user dem_eggs also discussed the suspicion surrounding Scott Tadych pawning off a .22 rifle (the confirmed murder weapon), which belonged to one of the Dassey boys. After reporting her husband to authorities, the woman continued to find evidence consistent with Teresa’s murder like women’s underwear, lighter fluid with a bloody fingerprint, blood stained clothing, surgical gloves, and other disturbing oddities you can read about here. Normally in a murder case, the people closest to the victim are the first persons of interest. However, this was not the case with Teresa Halbach’s ex-boyfriend, Ryan Hillegas, and brother, Mike Hallbach. In fact, the two are introduced in the docuseries as the leaders of Teresa’s search party. However, the boys started raising suspicions after an on-camera interview (above) showed them “checking in” with each other and fumbling over their words. Suspicions were raised once again when Mike Hallbach talked about the “grieving process” long before his sister was confirmed dead. “I just found it so odd that he would mention ‘grieving’ for her when a body hadn’t been recovered at this point. I feel like he catches his mistake and corrects it at the end by saying hopefully they can move on with her still in their life, but I just can’t imagine a family member mentioning grieving for a loved one for years while they are still missing – surely he would be hoping they’d find her alive. In addition, both Halbach and Hillegas claim to have broken into Teresa’s phone. Despite the fact that voice mails had been deleted off of Teresa’s phone, neither man claimed responsibility. Ryan Hillegas also oddly claimed to have last seen Teresa on Sunday, but could not recall the time of day when that meeting took place. This is a far fetched (and consequently, less popular) theory, but one Reddit user mulled over the possibility of Teresa Halbach possessing photos of a local marijuana field (or something of confidential nature) that was under the protection of the Manitowoc County Sheriff’s Department. Because Teresa’s camera was reportedly destroyed in the fire, this theory is tough to prove. Reddit user burningsodium theorized that, because of the October 31st murder date, there may very well be some connection to Satanism or a Satanic cult. zoso471 furthered this point, writing, “Sacrificing Theresa [sic] AND getting to incriminate Steve Avery is a pretty attractive deal for those cops a part of this club.” Not the strongest theory, but a theory nonetheless. While the debate over who murdered Teresa Halbach continues, many viewers are convinced of one fact: Lieutenant James Lenk of the Manitowoc County Sheriff’s Department planted evidence to frame Steven Avery. Because Manitowoc County had falsely imprisoned Steve Avery for sexual assault back in 1985, the investigation was handed over to the Calumet Police in order to glean unbiased evidence. Later, suspicions rose when it was revealed that Lt. Lenk was allowed on the property for multiple days, many of which were unsupervised by Calumet County Police. He was also responsible for finding Teresa Hallbach’s car key, which was photographed on Avery’s bedroom floor next to a pair of his slippers, 7 days into the search. Four months after this discovery, the Wisconsin Department of Justice’s Criminal Investigation Division asked to search the premises again, and found a flattened bullet with Teresa’s DNA in Steven’s garage. Perhaps coincidentally, Lt. Lenk was partially responsible for this finding as well. “Colburn [sic] called in to dispatch asking them to run plate numbers that turn out to be Teresa Halbech’s, and after she tells him its a missing person’s car, he tells the dispatcher “99 Toyota?”, which she confirms. He had no real explanation on the stand. He looked like a deer in the headlights under questioning”. Reddit user yallaintright posited a similar theory, and detailed a timeline of hypothetical events that involved Colborn from beginning to end. So, what’s your take? Do you agree with any of these theories? Have any theories you’d like to share? Give us your take!